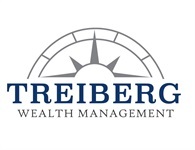 Treiberg Wealth Management - What's Your Risk Number? Click here to take a no obligation risk assessment and view your results! Every investment carries a potential risk of loss and follows the principle of the higher the potential returns, the higher the associated risk. Since every investment within a portfolio carries its own unique risk profile, the combination of all the investments within a portfolio can show just how much risk you are actually exposed to. Think of it this way: an investment with a high degree of risk can be mitigated with an investment with a relatively low degree of risk - together they bring down your overall portfolio's potential risk. This concept is known as diversification. 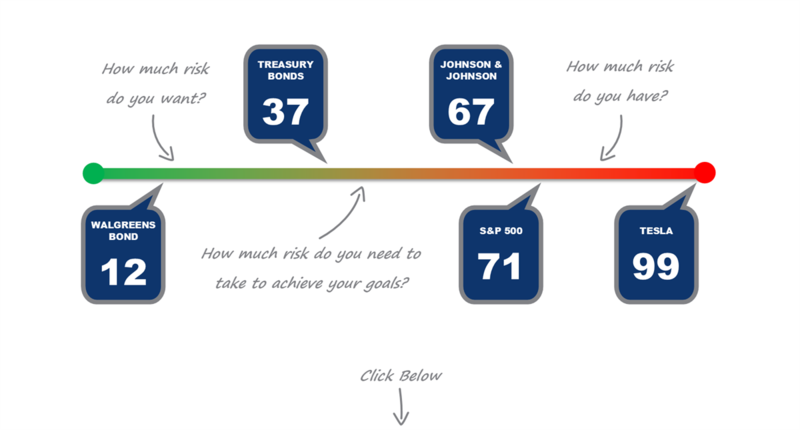 Take a look below at the Risk Number by Riskalyze © for a variety of investments below to get an idea of where your own investments may place on the scale! Click here to see your own risk number. If you're unsure about where your hidden risks may lie in an individual investment or even an entire portfolio, we can help you discover and define your suitable risk tolerance and risk capacity! Let us build a strategy designed just for you! Stock investing involves risk including loss of principal. An investment in Exchange Traded Funds (ETF), structured as a mutual fund or unit investment trust, involves the risk of losing money and should be considered as part of an overall program, not a complete investment program. An investment in ETFs involves additional risks such as not diversified, price volatility, competitive industry pressure, international political and economic developments, possible trading halts, and index tracking errors. Bonds are subject to market and interest rate risk if sold prior to maturity. Bond values will decline as interest rates rise and bonds are subject to availability and change in price. Securities offered through LPL Financial, member FINRA & SIPC. Investment advice offered through Treiberg Wealth Management, a registered investment advisor and separate entity from LPL Financial.